Until about a month ago I was never one of those people who added highlighting to their beauty regime. It always felt it was an unessessary step and that essentially all it accomplished was adding sparkles to my cheek. During Christmas 2014, my best friend, knowing my love for Benefit products, gifted me the Benefit sample box which was full of some of my favourite products as well as some I had never tried. 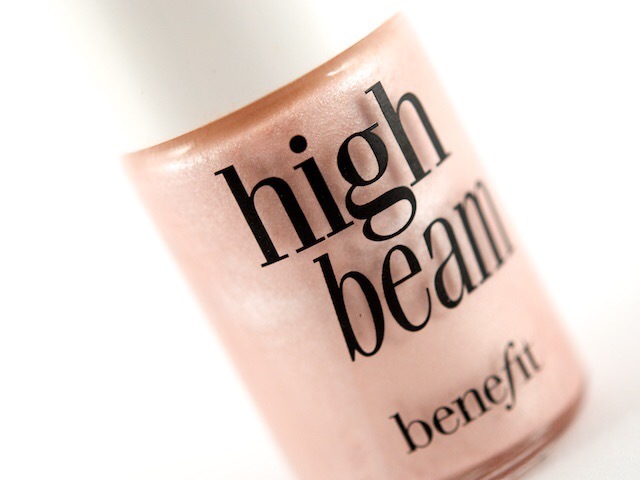 One of the products was the high beam highlighter cream. At first I only used it to highlight under my brow bone which looked nice enough but one day before going out I decided I’d slide it across the top of my cheek and boy did it make a diffference to my look! It surprisingly made me look awake and so much more illuminated. That night, it reflected the light off my face nicely when taking pictures. I have dark circles so it was nice to have something light the top of my cheek to offset that. The creamy consistency worked well on my face, I have dry skin so anything that is a powdery just looks like dust on my face. I really liked that it had a slight pink tint to it as well, as it blended well with my blush. Ever since that night I’ve worn highlighter all the time. I even have Benefits’ sun beam that would nice during the summer to add to my bronzer. I really wish I tried using highlighter sooner, but it’s nice that I’ve added something new to enhance my routine. It’s really an easy way to just give you that beautiful glow. I am interested in trying other highlighters now. What are some of your favourites? What new technique have you recently learned? Hey, thanks for checking this out. I’m still getting the hang of blogging and will definitely post a photo next time. Thanks!